It is finally starting to feel like Christmas in Kharkiv. We have been watching them assemble a massive Yule Tree as they call them here in Freedom's Square and the holiday markets has are finally open. Since the Orthodox Christmas is celebrated according to the Julian calendar Christmas does not happen in Ukraine until January 7 and even Saint Nicholas Day is not celebrated here until December 19th. This is me and the Yule tree with a giant Ded Moroz or Father Frost in the background. In Slavic countries they have Father Frost instead of Santa Claus. Here is a view of holiday market in Freedom Square. The entrance to the market. This is the Yule Tree light up at night and a picture of Ded Moroz's house. One last picture of Lenin in the snow for good measure! I made one last research trip to Donetsk, about four hours away by high speed train, before I left Ukraine for the holidays. It was my goal to conduct interviews in all of my target cities in the East this semester and then next semester I will conduct interviews in the West and South of the country. Donetsk is one of the most polluted cities in the former Soviet Union and located in the Donbas region of Ukraine. Donbas stands for Donets basin and is the most industrialized region of Ukraine. Thus, I was also trying to limit the exposure to my lungs so a wintry trip there when everything was frozen was a good choice. Well I arrived on a very wintry snowy day and didn't really get to see much because visibility was low due to snow and I had back to back meetings scheduled throughout the day. This is the Cathedral Transfiguration of Jesus was founded in 1883 but like many churches it was destroyed in 1933 by the Soviets. It was rebuilt from scratch and finished in 2006. The requisite statue of Lenin in front of the Donetsk Regional Administration Building. During one of the interviews, my contacts showed me this game which is played with Ukrainian school children to educate them about human trafficking. It is called Crossing Europe. I also had a brief visit to the Rotary Club in Donetsk where I met a fellow Jayhawk and gave a speech. Sadly, I couldn't stay very long because I had to run to catch my train back to Kharkiv! I headed back to Kyiv this week because Matt's 90 days in Ukraine had run out and he had to fly back to the United States earlier than me so I went with him to Kyiv. We took the morning train the day before his flight so we had the afternoon to walk around before he flew out the next day. We stayed a bit down Khreschatyk, the main street in Kyiv, and got to see a new side of the city which was nice. We also got to see the tent city where all the people protesting former Prime Minister Yulia Tymoshenko's imprisonment live. She was charged with abuse of power, accused of working against the country’s interests by signing a deal to buy Russian natural gas while in office in 2009 at prices that prosecutors say were inflated and sentenced to seven years in prison which she is serving in a women's prison in Kharkiv. The impressive tent city located down Khreschatyk from Independence Square and what is more impressive is that these people stood out there every day talking about political repression in Ukraine no matter what the weather was like outside. When we were there it was freezing, and around 15 degrees and there were a bunch of people talking to passersby about the repression. I overhead one protester yelling to woman and her child who were trying to brush her off that she should think about the future of Ukraine for her child. The sign says no political repression. This sign says the same thing but has her picture. Calling for a Yulia revolution in Ukraine. Anti-Yanukovich signs where you can be the one punching him or have him kiss your hand! This one says Freedom for Political Prisoners. This is the view of the tent city from across the street. As you can see it is huge and takes up an entire city block. As part of the 16 Days of Activism Against Gender Violence I was invited to Poltava to help out at a training on human trafficking with 11th graders at a local school. For some reason whenever I travel to Poltava the weather is always horrible and weather.com always gives me an unreliable forecast so I am always under-dressed. Today was no different with the down-pouring rain and almost below freezing temperatures. Still I was glad to only be attending the training this time and not sightseeing. This is the school where the training took place. An informational poster in Ukrainian about the 16 Days of Activism Against Gender Violence. For some reason every time I am in Poltava I get interviewed by some kind of news making organization. This time it was TV crew and I had to speak in Russian on camera about human trafficking and my research. Teaching about human trafficking, the statistics and realities in Ukraine and how to avoid becoming a victim. An activity which demonstrated what a victim of trafficking feels like...trapped and helpless to get out. Another activity simulating the trial of human trafficker with a judge, prosecutor, witnesses and a defendant. The jury voting if the defendant is guilty and what sentence he should get. 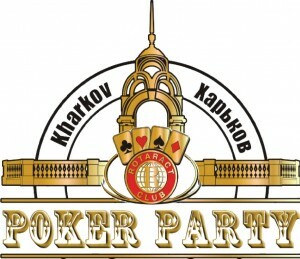 The Kharkiv Rotaract Club organized a poker party and art auction fundraiser where we will raised money for a local children's home in Kharkiv. I was invited to come along and it was a very interesting event and good opportunity to use my Russian and meet young Rotarians from Kharkiv. There was also guests from other Rotaract and Rotary clubs from around Ukraine and even one from Minsk, Belarus. This is a photo of the Rotarians from Slovyansk presenting a Rotary vase to the Kharkiv Rotaract Club president. The poker cake, a present from the Rotary Club Kharkiv City brought out by their secretary. No, sadly those are not real dollar bills! The very tasty dinner where the proceeds benefited the local children's home.